We read about tile decals, or tattoos in Real Simple and were struck by what a great idea they are. We have written about vinyl wall art (see Channel your inner gaffiti artist and toilet tattoos (see Mario Buatta – look out!) but tile decals for bathrooms, showers or kitchens are a whole new ballgame! They are not meant to cover every tile, but to create a design. They are just the ticket to cover broken or stained tiles, or just give your bathroom and kitchen new life. 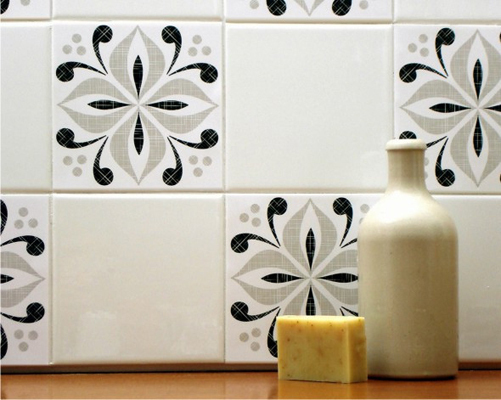 Mibo Tile Tattoos fit over 4”, 6” or 6”x 3” subway tiles. All the tile tattoos are sold in sets of 6. The 4” are $16, and the 6” and subway tattoos are $18. They are easy to put on, are waterproof, and can be removed with no leftover sticky residue. We hope Mibo will expand their selection. TileStix Tile Decals come in various shapes. Some to go on flat surfaces and some fit over 4” tiles. They are self-adhesive, removable, reusable, washable, waterproof, and heat and steam resistant. 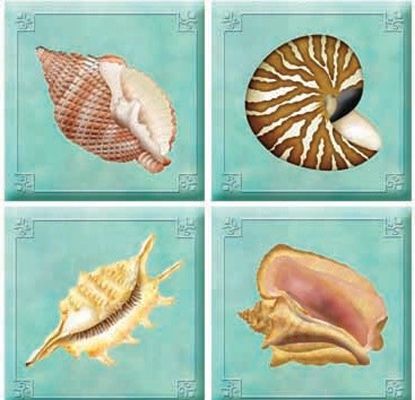 Seashell TileStix – one sheet of 4 shells is $10.95. 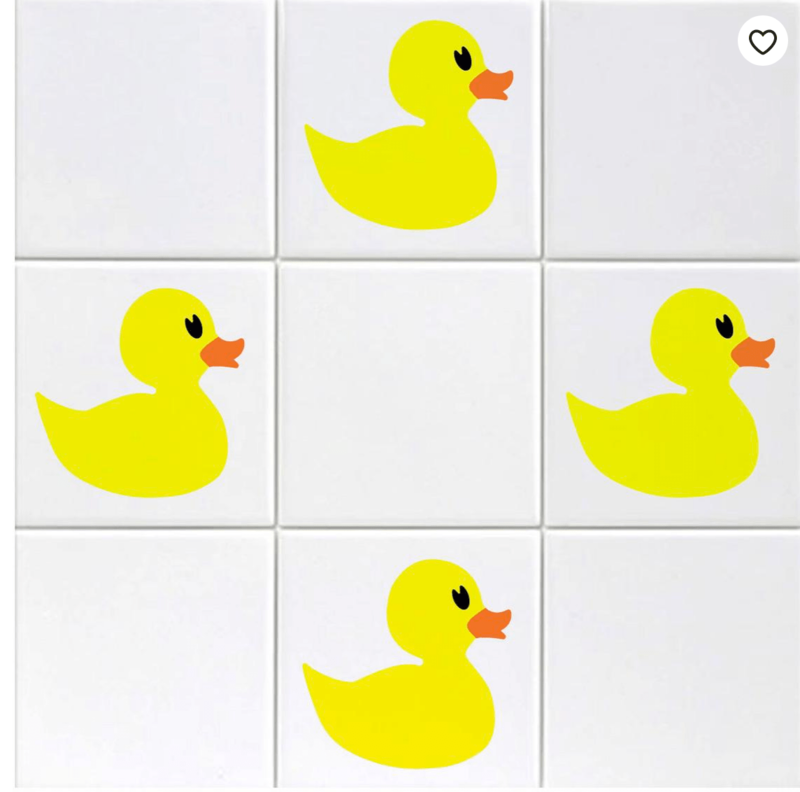 Etsy has a nice selection of tile decals for children. This site makes adorable rubber duckies! A pack of 12 is $8.14.